Engraving on a standard box is a fast and affordable technique to have a unique present. 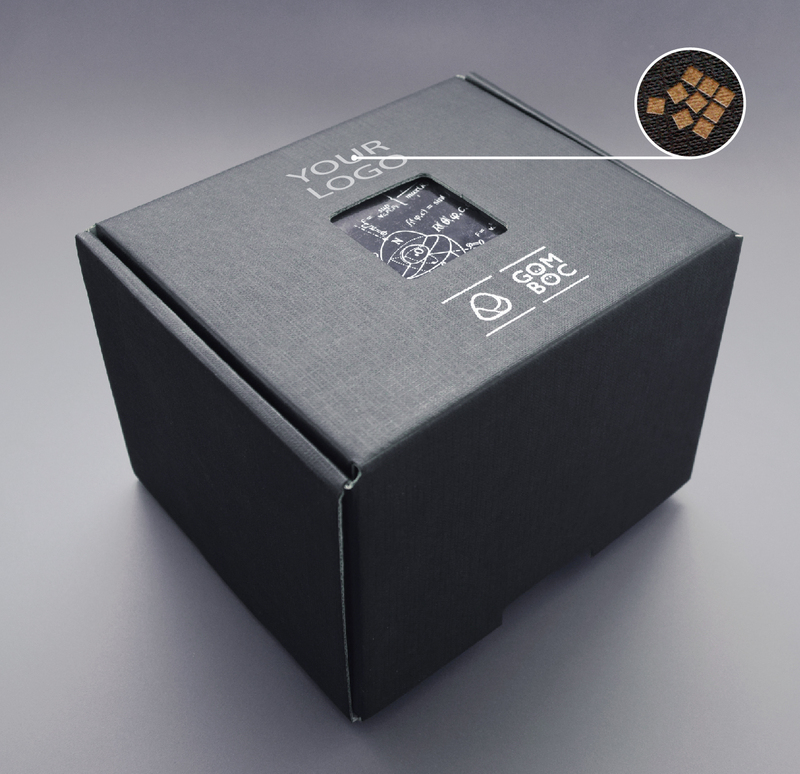 The brown coloured engraving can be placed on the top of the box, above the small window. Dimensions: H, W, L: 170 x 140 x 125 mm / 6.6 x 5.7 x 4.9 in. The production time of the engraved box is 2-5 business days. In case of purchasing unique accessories, please contact us at service@gomboc-shop.com. For the best solution, we are asking you to attach your graphics and please specify the engraving or printing instructions and your font style. We can accept .ai, .eps and .pdf vector formats. The engrave-able area is W,L 160 x 40 mm/ 6.29 x 1.57 in. The price shown above does not include VAT and shipping cost. VAT (27%) is added if the purchase is made in the European Union. No VAT is added if the customer can provide an EU TAX number during the check-out process. Purchases initiated from outside of the EU will not be charged with VAT. During the check-out process you will be able to see the final costs before you finalize your purchase.